TMCD economists have been examining discarded car-wheels, sampling the latest fashions and blitzing their taste buds with red-hot chili sauce – all in the name of researching business innovation in Africa. 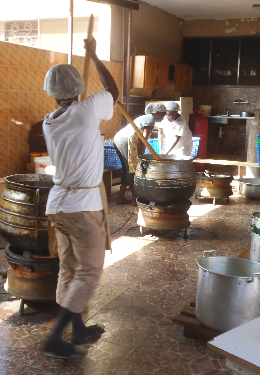 The research team undertook a survey of innovation in formal and informal businesses in Ghana, the results of which are published in a new report: Innovation in Low Income Countries. Business innovation is thriving in Ghana - without the benefit of science labs, R&D geeks or management consultants. Firms are forced to innovate to survive so they deploy both technical and managerial innovations. (But financial restraints mean these mostly take the form of low cost measures). Innovation enables small businesses to survive and excel. And these innovations are significant drivers of business success. TMCD’s director Professor Xiaolan Fu has just addressed a UN General Assembly meeting on Fostering science technology & innovation in New York, where she told delegates that development of technological and innovation capabilities should be a priority of the post-2015 development agenda. Professor Fu told world leaders that product, management, process and marketing innovation in many middle-income countries is beginning to catch up with that in the rich nations. The share of patents and technical journal articles originating in middle-income countries has increased steadily over the last thirty years, whilst the percentage of GDP invested in R&D expenditure in BRIC countries - especially in China - has shot up since the mid 1990s. New research from TMCD examines how China’s most successful multi-national enterprises (MNEs) have used their experiences in Europe to give them a competitive advantage. The TMCD researchers carried out in-depth studies of two leading Chinese telecom companies: Huawei and ZTE. Learning lessons from the conditions in host economies. An article by Professor Xiaolan Fu on 'What potential does open innovation hold for Asia' has been published in The Economist Intelligence Unit’s special report on innovation in Asia. Professor Fu’s article, which challenges the assumption that Asia’s top-down approach to economic planning is incapable of innovation, demonstrates how the region’s innovation ecosystems are surprisingly enthusiastic about open, collaborative innovation. Click here to read Professor Fu’s article. We’ve welcomed two communications experts to our team. Amanda Barnes is our new communications advisor and Max Weylandt, a Masters student in Oxford’s Department of International Development, has joined us in the role of part-time communications assistant and will be looking after our social media. We’ve begun work on expanding our social media presence. A big part of the academic world now is about disseminating new research online and engaging with others who share the same interest. We aren’t just looking to talk with other academics, as much of our research is eminently important to policymakers, and often the general public. Of course we’re not the only ones doing research on innovation, technology, or multinational business. Because there’s lots of interesting research and news out there, we’re also using social media to spread all kinds of interesting material on the issues. 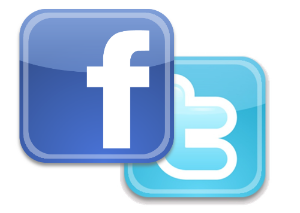 Our Twitter handle posts several times a day, whereas our Facebook Page is reserved for more important updates. Please go ahead and follow them both. Copyright © 2015 TMCD, All rights reserved.